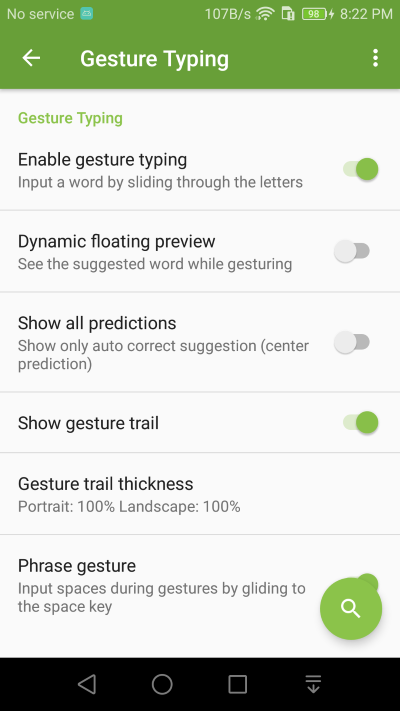 Gesture Input is enabled by default, you can turn it off in setting if you don’t use it. 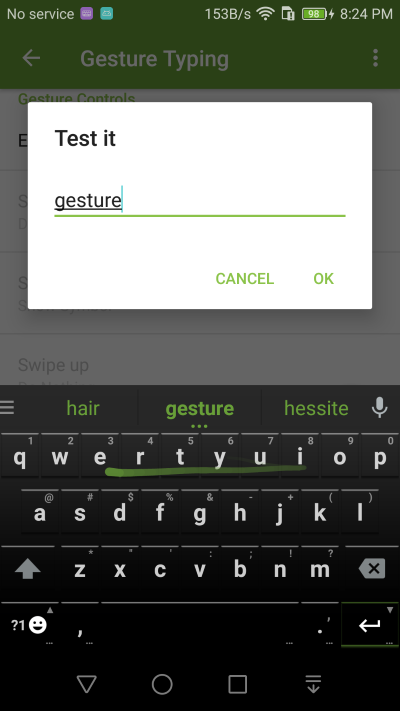 When gesture input is enabled, you can slide your finger over the keyboard to gesture type. 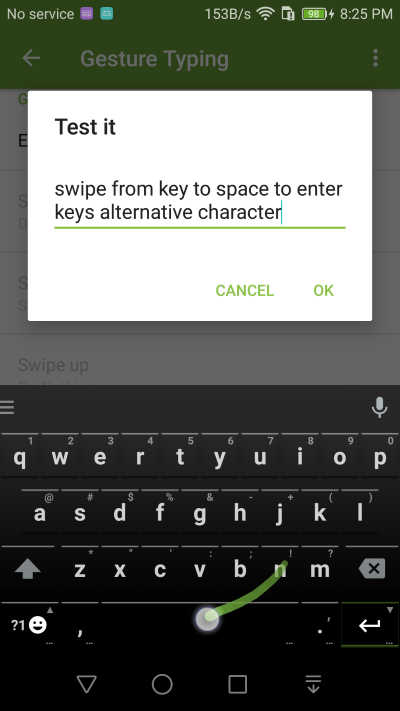 When you slide from a key to the space key, the key’s alternative character will be entered. For example, slide from from ‘n’ to space to get ‘!’.